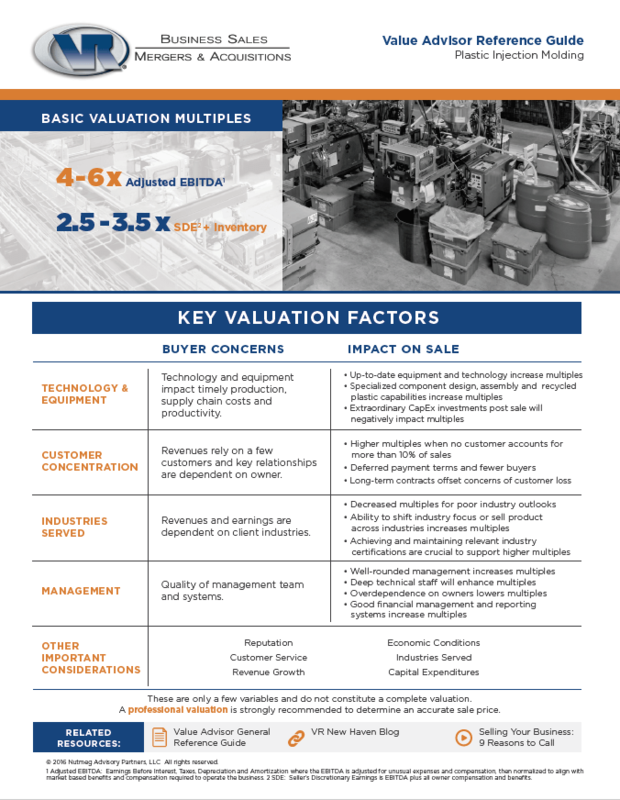 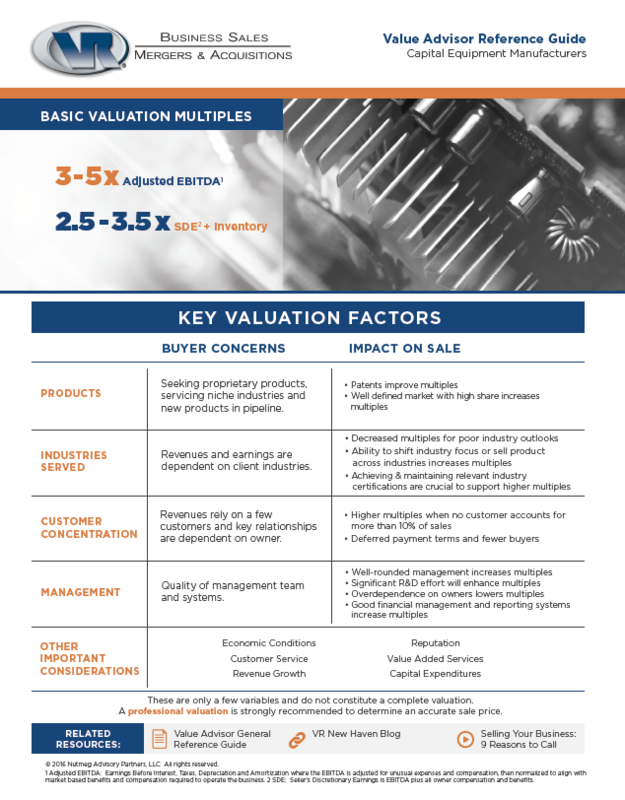 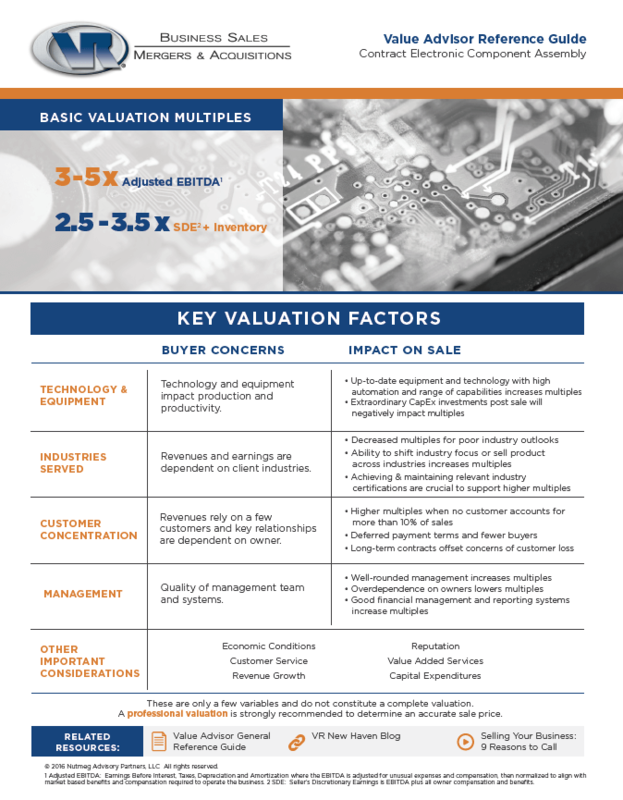 Each quarter this year, we’re bringing you more of our popular Value Advisor Valuation Reference Guides. 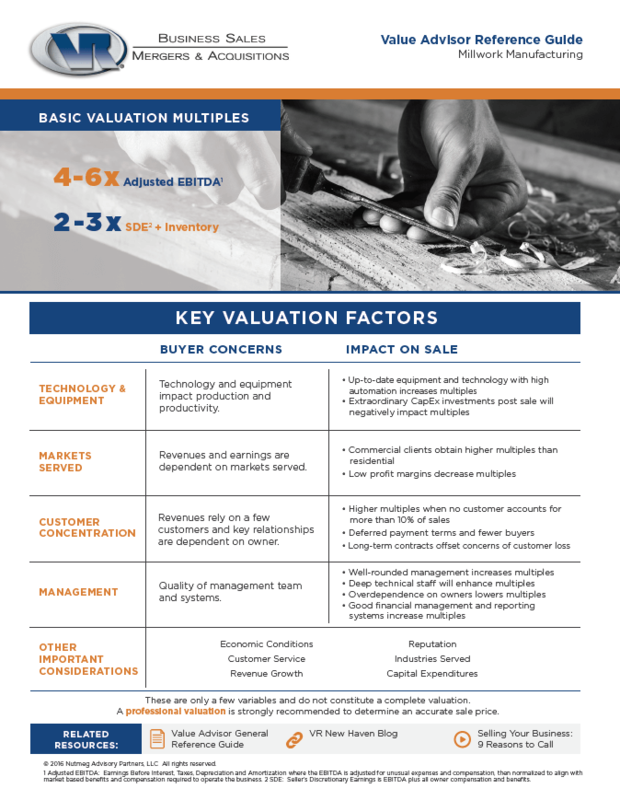 These guides break down critical information on how to value your business, a starting point for understanding how much your business is really worth. 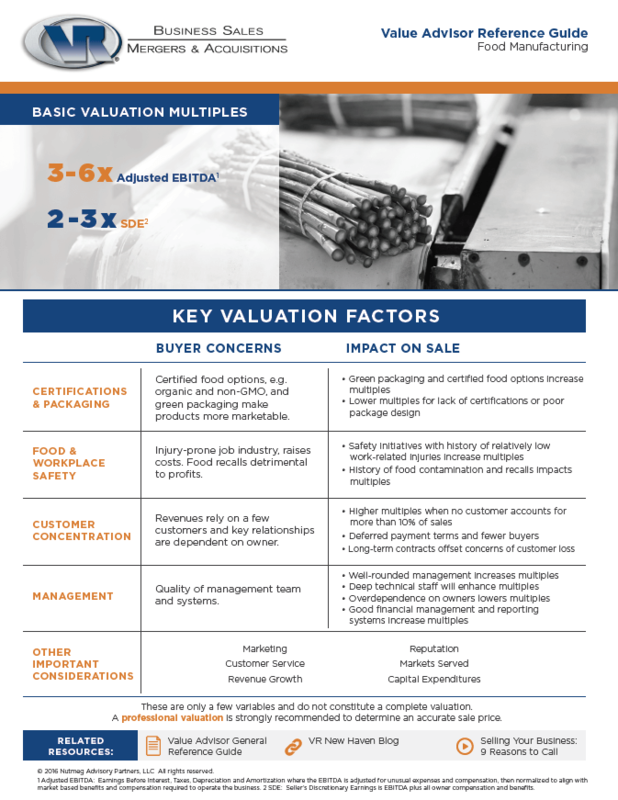 Below are links to our recently released industry guides for Capital Equipment Manufacturers, Food Manufacturers, Plastic Injection Molder Companies, Contract Electronic Assembly Companies, and Millwork Manufacturers. 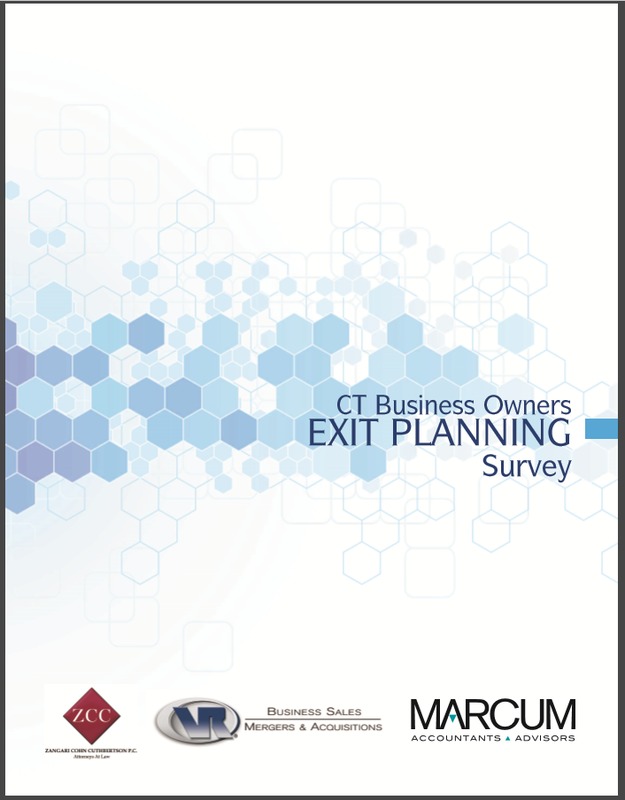 We'll be launching the survey for the 2017 CT Business Owner Exit Planning Report soon.